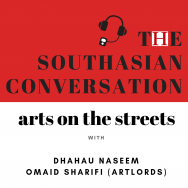 Welcome to Himal Interviews, a podcast where we talk to some of the most interesting writers, journalists, activists and experts on all matters Southasian. 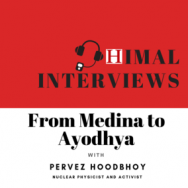 In this inaugural episode of the podcast, we interview the journalist and author Madhusree Mukerjee, who has written extensively on science, colonialism and indigenous rights, among other subjects. Journalist and author Madhusree Mukerjee. Her 2011 book Churchill’s Secret War used new archival sources to meticulously detail the complicity of British Prime Minister Winston Churchill and his war cabinet during the Second World War in exacerbating the 1943 Bengal famine that killed at least 1.5 million. Despite this and his well-documented racism, public fascination with Churchill continues to grow, as was made clear by the 2017 film Darkest Hour, which portrays him in a sympathetic light, airbrushing his history of disastrous policies. British actor Gary Oldman went on to win an Oscar for his portrayal of Churchill in the movie. In this interview, Mukerjee talks to our editor Aunohita Mojumdar about the enduring cult of Churchill, his role in the Bengal famine, and how colonialism continues to shape modern India. 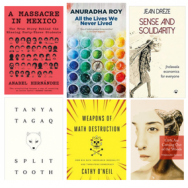 Also: Read Madhusree Mukerjee’s essay ‘The imperial roots of hunger‘ for more on this issue.